Flashback is a device that moves an audience from the present moment in a chronological narrative to a scene in the past. Often, flashbacks are abrupt interjections that further explain a story or character with background information and memories. Flashback can occur as a sudden thought sequence, a hazy dream, or a vivid memory. It can be announced or unannounced in the line of narrative. A man is about to give a speech to a large audience on biology. Suddenly, he remembers playing with frogs and toads in his backyard as a curious child. He smiles at the memory, and then begins to speak to the audience about a new, groundbreaking finding about frogs. In this example, the flashback happens when the man remembers his childhood. The flashback serves to reveal that the man had an early passion for animals and has now, as an adult, made a fantastic discovery in that area of science. A woman is about to get married. As she puts on her veil, she remembers her fiancé three years before, swearing he would make her his wife someday. A tear comes to her eye and she prepares to walk down the aisle. Here, the flashback is the memory of the woman’s fiancé three years before. The memory serves to show that her fiancé was sure of their relationship early on, and that his prediction has come true. The memory brings a tear of happiness to her eye. A superhero is struggling to figure out where his nemesis would keep a hostage. Suddenly, he remembers his nemesis saying “Dark things happen in dark alleys.” He hurries towards a hidden alleyway. In this scene, the flashback is the memory of the nemesis saying something. The memory serves to guide the hero in the present with a clue pulled from his past. Flashback is important in that it adds complication and depth to a narrative that is otherwise straightforward and chronological. As is true in real life, sometimes information about characters, places, or things is only revealed when the past is abruptly pulled forth, mentioned, or remembered. Flashbacks can thicken plots, create dynamic and complex characters, reveal information otherwise left unspoken, or surprise the audience with shocking secrets. Flashback is a necessary element of most plots, as we gain information about nearly everything from referencing the past. A large part of a character’s essence can be found in the past and the memories which resurface over time. Flashbacks provide poems and prose with a more interesting landscape than a purely chronological narrative. They explain personalities and actions of characters and explore the significance of memories recalled in the present moment. My son rows toward me against the wind. For thirty-six years, he rows. In 1986, he is born in Paris. echo of my son’s laughter on the rumpled lake. Go wherever you can but keep returning to the present. I was born in American just after the war. My name is Fabian Vas. I live in Witless Bay, Newfoundland. You would not have heard of me. Obscurity is not necessarily failure, though; I am a bird artist, and have more or less made a living at it. Yet I murdered the lighthouse keeper, Botho August, and that is an equal part of how I think of myself. I discovered my gift for drawing and painting birds early on. Norman begins the narrative in the present and introduces the reader to Fabian, a character who is a bird artist but also a murderer. Such a shocking introduction then smoothly launches us into the past, where the story of the artist as a young boy begins. Beginning in the present with an admission of murder and then launching into a peaceful past creates suspense, as the reader wants to know why or how Fabian has become a murderer. It also serves to give Fabian a backstory. Flashback is an important aspect of many movies, television shows, and songs. Flashback serves to provide a backstory for characters, explaining how they have come to be how they are now. They also serve to complicate plots by interrupting the linear narrative. In Disney’s How the Grinch Stole Christmas, the Grinch’s adopted parents explain how the Grinch came to hate Christmas in a flashback to his childhood. This scene in itself employs flashback when the Grinch remembers his teacher advising children to dress well and bullies making fun of him. 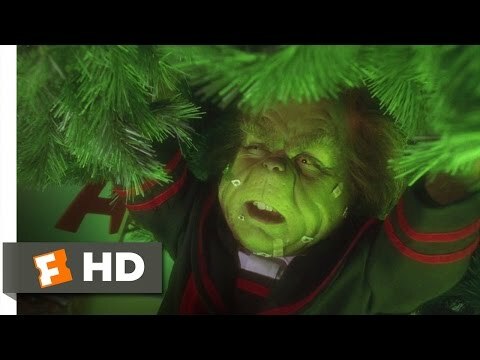 This flashback explains the Grinch’s hatred for Christmas but also makes him a sympathetic character as he has been bullied and outcast for being different. 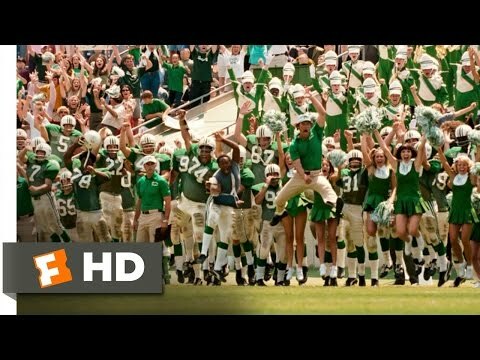 The movie We Are Marshall uses a flashback in the seconds before a triumphant win for Marshall, the audience remembers the struggles the football team had to go through to finally come back together after a plane crash tragically killed the majority of the team and coaches. This painful but ultimately joyful flashback emotionally charges the victory scene. Flash-forward, also known as prolepsis, is the rhetorical device in which a chronological narrative is interrupted and launched forward in time. Flash-forward is the opposite of flashback, as it shows events in the future or imagined future rather than in the past. Both devices, though, serve to tell more about a story and to interrupt the linear narrative. Blake meets Sarah at a bookstore. Blake meets Sarah at a bookstore. What he does not know is that one day she will become his girlfriend. Blake meets Sarah at a bookstore. Upon seeing her, he is launched into a childhood memory of a similar girl, a childhood crush, with brunette hair and blue eyes. The flash-forward provides us with the knowledge that Blake and Sarah will eventually begin a relationship together. The flashback, on the other hand, shows us why Blake was first attracted to her—she reminds him of a childhood crush. Flashback is an essential aspect of plot which allows the chronological narrative to be interrupted by information and memories from the past. It can provide stories with background information, characters with personality development, and plots with more complicated structures. Flashback reveals the importance of the past and its ongoing effect on the present.